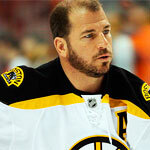 Mark Louis Recchi (born February 1, 1968) is a Canadian former professional ice hockey right winger who played 22 years in the National Hockey League (NHL), beginning in 1988 and ending in 2011. 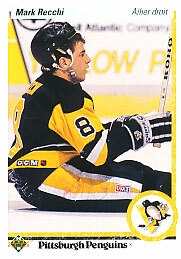 Mark Recchi was drafted by the Pittsburgh Penguins 67th overall, first playing in the NHL 1988, and was a key player in their Stanley Cup winning side in 1991. 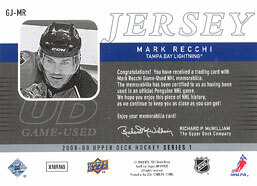 During the 1999–2000 season, Mark recchi was a finalist for the Lester B. Pearson trophy as NHLPA MVP and he finished third in scoring. 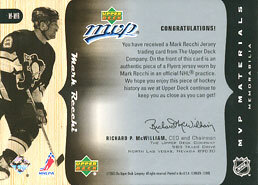 In 2000, he was named 'Kamloops Male Athlete of the 20th Century', and had a street named 'Mark Recchi Way' in his honour. 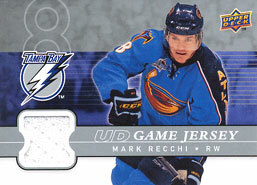 On January 20, 2007, Mar Recchi scored his 7th career hat trick and just under a week later, Recchi scored his 500th career goal on January 26, 2007. In Game 2 of the 2011 Stanley Cup Finals, Mark Recchi became the oldest ever player to score a goal in a Stanley Cup Final, doing so at the age of 43. On June 15, 2011, Recchi became a three-time winner of the Stanley Cup and winning three Stanley Cups with three different teams. Mark Recchi announced his retirement as an NHL player, finishing his career 4th all-time in games played and 12th all-time in points.